A reprint of one of Gunn's lighter and more intriguing books centring on the investigation of an ancient cairn. At the heart of The Silver Bough is a cairn on a knoll surrounded by standing stones. This is of professional interest to an archaeologist, around whom the story revolves. The life-enhancing qualities of the crofting family with whom he lodges and the quiet tenor of Highland life bear a curious similarity to his speculations on how 'the cairn people' lived in the distant past. His ideas spread outwards like ripples in a loch, fascinating his colleagues and giving some meaning to the life of a neighbouring landowner, who is mentally scarred from his experiences in the War. 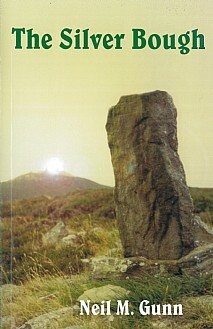 The plot of the book is imaginative and intricate, and includes the mystery of skeletons found in a cist in the cairn. As the dig proceeds, gold is discovered and then disappears. Has it been taken by the lad the archaeologist has been employing and, if so, where is it? The search is on and the standing stone claims its sacrificial victim. Anyone who enjoys good writing, whether or not a collector of the work of Neil M. Gunn. A backdrop of an archaeological story in Scotland serves only to increase the fascination and appeal.